The results of your search for General Literature - C19th can be seen below. Please contact us if you require more information. (Lacking title page but Hull. A.D. English). (1835). pp. 64. Frontis. 8vo. Later quarter calf, cloth boards. Some pencil markings in text. Although the text is not uncommon, being part of Coleridge's Biographia borealis; or lives of distinguished Northerners, the imprint is uncommon. COPAC lists 5 copies only and Chilton in his Early Hull Printers and Booksellers says that very few examples of English's imprint survive, the Hull collectiononly having one, which is not this title. London. J. Evans. (1814 - 1820?). pp. 8. Woodcut on title page. Small 8vo. Uncut. As issued. Kirkudbright. John Nicholson. 1843. pp. (ii) of adverts, (ii), viii, 450. 8vo. Dull, faded, sightly later cloth. 1st edition. London. J. Evans & Sons. (1814 - 1820?). pp. 8. Woodcut on title page. Small 8vo. Worming in inner margin affecting text slightly. As issued. Stitch holes. London. J. Evans & Son. (1814 - 1820?). pp. 8. Woodcut on title page. Small 8vo. As issued. Stitch holes. London. Elliot Stock; Hull. Walker & Brown. 1878. pp. viii, 104. Small 8vo. Paperback - original printed wrapper, marked. Title page foxed. A good copy. Now first edited from the Originals, wth a Memoir of Lord Chesterfield by The Earl of Carnarvon. Oxford. Clarendon Press. 1890. pp. xci, 320. 6 plates, 1 facsimile. Royal 4to. Half vellum with blue cloth boards, top edge gilt. No. 304 of a limited edition of 525. Plates are slightly browned but with tissue guards. Endpapers browned. Edited by Sir Egerton Brydges. Kent. At the private Press of Lee Priory by Johnson and Warwick. 1814. pp. (v), 12, 10, 44. Vignette on title page. 8vo. Full calf, slightly sunned. The fourth publication, in octavo, printed at The private Press of Lee Priory, Kent. The impression is limited as usual to One Hundred Copies. From the library of Eric Quayle with his bookplate. London. Ward and Downey. 1885. 3 vols. pp. (viii), 260; (viii), 244; (viii), 250. 8vo. Half blue calf, cloth boards. 1st edition. Ex-Library with stamps and bookplates of Central Library, Shepherds Bush Road and on the base of the spines it is stamped South African Public Library. There is browning of the text block throughout all volumes and some foxing. Unknown to Sadlier but Wolff Vol 1 605. Boulger spent her early life in South America and came to England in 1870. London. Partridge & Oakey. 1853. pp. (iv) of adverts, (viii), 222, (vi) of adverts. 12mo. Blind stamped brown cloth. Bottom of back hinges slightly split. London. Edward Moxon. 1846. 2 vols. pp. 8 of adverts, (ii - blank), viii, 264; Viii, 274, (i) of adverts. 8vo. Original cloth, spine labels. Labels slightly rubbed and darkened. 1st collected edition withthe bookplates of Simon Nowell-Smith, Judith Adams Nowell-Smith, and J.O. Edwards. Paris. Genets Jeune. 1821. 2 vols. pp. (iv) 294; (iv), 344. 2 frontis's, 4 plates,all with tissue guards. 12mo. Full calf, spines with gilt decoration and badly chipped labels. All edges gilt. A good set. London. Alexander Murray. 1870. pp. 208. 8vo. Red cloth, spine faded. Very slight foxing. Reprint of the American Edition. London. Bradbury & Evans. 1861. 3 vols. pp. iv, 302; iv, 279; vii (including initial blank), 282. 8vo. Half calf, marbled boards, spine labels. Minor foxing of preliminary pages in all three volumes. 1st edition. No half titles as called for but lacking advertisment leaves. Previous owners name on front free endpaper. London. Edward Moxon. 1844. pp. 8 of adverts, (ii - blank), 202, (i) of adverts. 8vo. Original cloth and spine label, label darkened and rubbed. 1st edition. With the bookplate of J.O. Edwards. A very good copy. London. Richard Bentley & Son. 1883. pp. xii, 516. Frontis. 8vo. 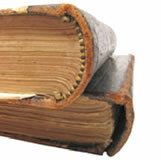 Original cloth, spine sunned. London. Edward Moxon. 1847. pp. 8 of adverts, (ii - blank leaf), (viii), 90, (i) of Notes, (i - blank), (i) of adverts. 8vo. Original blind stamped green cloth, spine faded. (1800 - 1886) Taylor, through his father, was an acquaintance of Wordsworth. Edinburgh & London. William Blackwood & Sons. 1884. 2 vols. pp. (viii), 226; (vi), 219. 8vo. Half roan, marbled boards, spine sunned and rubbed. Half titles present. 1st edition. Minor foxing, pale foxing throughout. Lacking the adverts in Vol 2. Previous owners name on front free endpaper. A good copy. Sadleir 69. London. Chapman & Hall. 1881. 3 vols. pp. iv, 280; iv, 272; iv, 277. No half titles as called for, final blank in Vol 3 lacking. 8vo. Half roan, marbled boards. Some minor, pale foxing. 1st edition. Previous owners name on front free endpaper. A good copy. Sadleir 60. Scarce in fine condition. London. Chapman & Hall. 1860. 3 vols. pp. vi, 303; iv, 300; vi, 289. 8vo. Half red calf, marbled boards, spines with labels and sunned. Endpapers slightly foxed and with previous owners name. 1st edition, 2nd issue. Half titles lacking. A good copy. Sadleir 10. With Twenty illustrations by J. E. Millais. London & New York. George Routledge & Sons. 1871. pp. (xiv), 648. Frontis and 19 plates. 8vo. Half red calf, cloth boards, spine sunned. Top edge gilt. Endpapers slightly foxed and with previous owners name. New Edition. A very good copy. Sadleir p 91. London & New York. George Routledge & Sons. 1874. pp. vii, 669. Frontis & 23 plates as called for. 8vo. Half red calf, cloth boards, spine sunned. Top edge gilt. Endpapers slightly foxed and with previous owners name. 1st one volume edition. A very good copy. Sadleir p.139. London. Richard Bentley. 1865. pp. iv, 555. Frontis, vignette on title page. 8vo. Half red calf, cloth boards, spine sunned. Top edge gilt. Endpapers foxed and with previos owners name. Half title present. New Edition. A very good copy. Sadleir p.23. No. 10 of Bentley's Favourite Novels. With Thirty Illustrations by H. Woods. London. Bradbury, Evans and Co. 1870. pp. xvi, 481. Frontis, 22 plates as called for, vignette on title page, further illustrations in the text. 8vo. Half blue calf, marbled boards. Previous owners' names on front free endpaper. Lacking half title. 1st edition. A good copy. Sadleir 33. London. Chapman & Hall. 1875. 2 vols. pp. viii, 320; viii, 320. 40 plates as called for, drawn by Luke Fildes. Half titles present. 8vo. Full blue calf, spines faded and with labels. Top edges gilt. Some minor foxing. Newspaper review tipped into rear of Vol. 2. Previous owners' names on front free endpaper. 1st edition. A very good copy. Sadleir 44. London. Chapman & Hall. 1859. pp. iv, 395. Coloured frontis. 8vo. Half green calf, marbled boards, slightly rubbed. Spine slightly scuffed. Endpapers foxed and with previous owner's name tipped in. 1st edition. A very good copy. Sadleir 9.